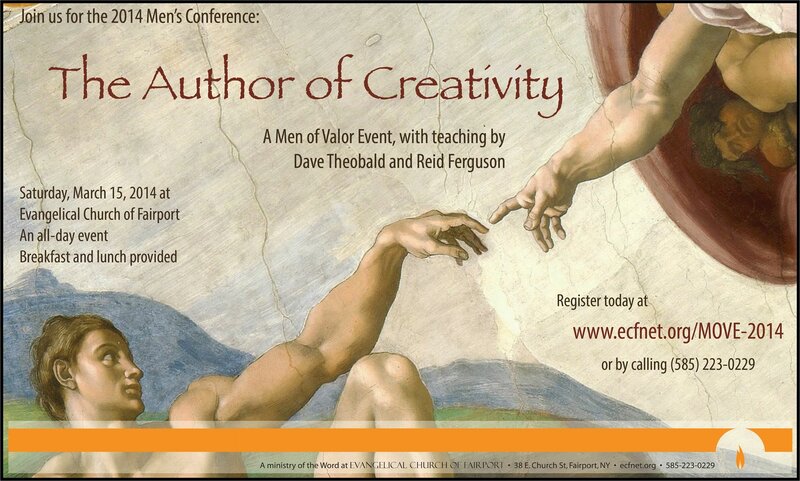 Evangelical Church of Fairport invites you to the fifth M.O.V.E (Men Of Valor Event) conference, Saturday, March 15. The day begins with a hearty breakfast at 7:30 a.m. Our speakers, Dave Theobald and Reid Ferguson, will deliver two messages in the morning and two in the afternoon. Following the morning sessions will be a full lunch at noon in the fellowship hall. Beginning at 1:00 p.m. will be our last two messages. The day should end around 3:30 p.m.
MOVE will be held at Evangelical Church of Fairport, 38 East Church Street in Fairport, N.Y.
You may order your tickets online using the form below.